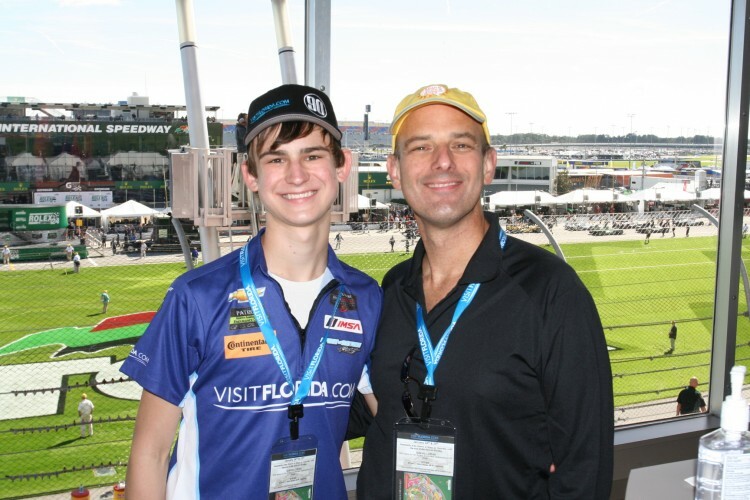 In January, my son, Robert William, and I attended the Rolex 24 at Daytona, a 24-hour race held in Daytona Beach, Florida. Then, this March, we attended the 63rd Annual Mobil 1 Twelve Hours of Sebring Fueled by “Fresh from Florida” held in Sebring, Florida. A total of 36 hours of auto racing. Robert and I were lucky enough to be guests of VISIT FLORIDA, the State of Florida’s tourism promotion agency. I’ve served on the VISIT FLORIDA board of directors since 2006, reviewing their annual marketing plan, approving budgets, and advocating for increased funding for tourism promotion from the Florida Legislature. Every day, countries such as Jamaica, the Bahamas, and Mexico are investing hundreds of millions of dollars in advertising to lure tourists to their country instead of Florida. To ignore that threat and assume visitors will chose Florida even if we don’t promote the state is naive. After a lot of advocacy work, Florida’s current governor and lawmakers have shown their support of tourism marketing, so you can expect to see commercials encouraging you and your neighbors to take a Florida vacation. I often see a similar disconnect though with membership marketers. They are frustrated with their member retention rates, yet they focus instead on generating new members. When your member numbers are slipping I recognize the impulse to add new ones, but putting more water into a leaky bucket doesn’t repair the leak. Instead, solving the retention problem has to be the priority. You do that by providing your new members with an orientation into your program, getting them to engage by inviting them to share their work with you, and by encouraging them through feedback and recognition. Membership is never as simple as you providing value while your members pay their money. Potential members today have a lot of options. There are thousands of groups vying for attention and a other membership programs they can belong to, whether online or off. If expect your member to retain your membership program you have to step up your game. Motor racing is ruthless. About an hour into the 24 Hours of Daytona race, a driver lost concentration for a second and ended up in the tire wall. Race over. The team packed up and left with 23 hours left in the race. Chance to win, over. Tourism marketing is equally ruthless. Countries and other states want potential travelers to take a vacation to their destination, stay in their hotels, and eat at their restaurants. They’re pitting themselves against Florida’s attractions and hospitality. If Florida doesn’t compete, it won’t get chosen. The same can be said of membership marketing. Your members have thousands of choices. To compete, you have to provide a place that is welcoming to new members—a place that lets them know you are glad they are there and helps them achieve goals they never thought possible. Otherwise, your members will find someone else who can make good on that promise. I agree completely with the last paragraph. Since I see many of my members on a weekly basis we remind them that we are glad they are here. Our entry sign (on a white board visibly placed just in our reception area says exactly that phrase.) “Welcome to DanceSport Boston Ballroom Dance Studio – We’re Glad You’re Here to Dance Today” Tomorrow I will add an additional phrase/question: “What dance goal would you like to achieve on your lesson today? Share it with your teacher.” By the way our annual CVO values range from $3650 to $10,950. We are looking to increase the annual CVO value at least twofold (possibly more) with some of the methods I am digesting from the GKIC Magnetic Marketing System and also implementing methods from Moving Money Up the Pyramid. On page 25 of the Pyramid transcripts I underlined the key concepts that apply particularly well to the Ballroom Dance Industry. Paragraph 2 ” It’s all about feelings.” P3 – “They’re buying over feelings attached to” dancing. We definitely P4 “Connect with them” P5 “We’re selling them their passions” ” We’re in the feelings business” We’re not in the dance business. P7 – We lead them to “making a decision that’s an empowering feeling.” They “feel good” and they “want to repeat it” And they do, week after week…year after year…additional plans are to create 3 distinct membership levels in 2016 rather than just having one over all our client base. Retaining our base membership, adding an mid-level membership and then finally an elite membership. Currently working out the benefits of the three distinct membership levels. P.S. Looking to do the same on my launch of my Copywriting Business from the get go…Learning and implementing proven methods from AWAI, IMA, GKIC, Maverick MBA and Evolved Enterprise. Listening to and learning from the right people helps tremendously wouldn’t you agree? Thank you for posting the valuable information that you do.